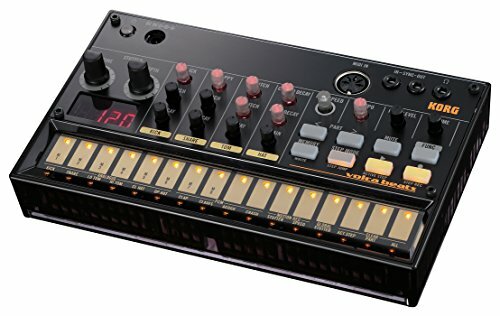 What Is the Korg Volca Beats? Who Is this Drum Machine Designed for? Conclusion: Will You be Happy with the Korg Volca Beats? Korg is well known around the world for producing some of the best, most durable electronic musical equipment and instruments. They have been in business for almost six decades and have a great reputation for providing landmark, highly innovative products. As the first company to add effects to a synthesizer and the first to create the “key transpose” function, it’s easy to see how Korg leads the way in innovation. 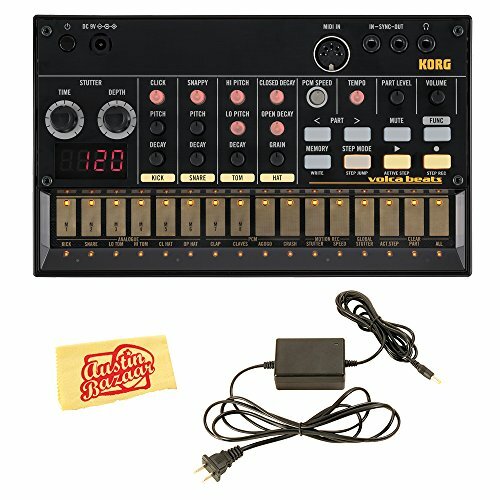 Their Volca Beats pushes the envelope and is no exception to their history of innovation and creativity. The Volca series is a new line of EDM production tools from Korg. All of this equipment is designed to be easy to and fun to use and to provide a very diverse array of different sounds that are only possible when using an analog synth. Each piece of equipment in the Volca series also has recording and sequencing capabilities to make it easy to intuitively generate performances. These are next-generation analog pieces of equipment that provide a lot of power. The Volca Beats provides musicians with the analog drum sounds that they want but remains incredibly easy to use. This makes it possible for musicians to harness their creativity and enjoy high-quality sounds when performing, practicing, or recording. The Korg Volca Beats is designed for any musician who is looking to recreate real analog sounds of classic drums and wants to be able to easily edit his or her sound. It is perfect for use on the go, not only because of its smaller size and lower weight but also because it has a built-in speaker and can run on batteries. This means that highly creative musicians will be able to enjoy using this equipment no matter where they are when inspiration strikes. The Korg Volca Beats is a mid-level piece of equipment that is priced for beginners and intermediate musicians to be able to afford easily. While professionals and advanced musicians may be able to coax a more impressive sound from the Volca Beats, it’s an affordable option for most people. It is also great for churches and for schools who are looking for an instrument that can easily fill the void of a drum kit and need something affordable and intuitive. The Korg Volca Beats ships with a power supply and a polishing cloth so that you can plug it in and start playing right away. It does have the option to run on battery power but these batteries aren’t included. Because you don’t need any other equipment to use the Volca Beats, you can easily power it up and start making music. The Korg Volca Beats does have a MIDI in if you want to connect other equipment to it, which can expand the type of sounds that you are able to make and will make it possible for you to push your creative boundaries. Thanks to the Electribe-style sequencer, the Korg Volca Beats makes it easy to quickly create 16-step patterns. 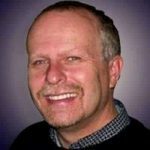 Once you have created a pattern that you really like, it’s easy to store up to eight of them in the internal memory so that you can access them quickly at any time. Add repeated triggers to your sound and music to update the tone and add excitement via the stutter function. Thanks to the MIDI input on the Volca Beats, it’s easy to control this equipment with any MIDI sequencer. You can even play at the same time as Monotron or Monotribe analog synths from Korg. Musicians also have the option of creating any custom drum sounds that they want and then sampling them to sequence them elsewhere at a later time. The Alesis SR16 is a great electronic drum machine if you are looking for something that is a little more user-friendly than the Korg Volca Beats. It has 12 velocity-sensitive pads and 50 presets. Since users can easily assign 233 sounds to any pad, it’s a highly versatile piece of equipment that is great for most uses. Another wonderful alternative is the Artura DrumBrute. This piece of equipment is more expensive than the Korg Volca Beats but offers great analog drum sound. There are two different types of kick drums as well as a unique analog reverse cymbal. Altogether, this powerful piece of equipment is a great option for recording and performing. I would be remiss not to also mention the option of looking into a digital drum set as well. 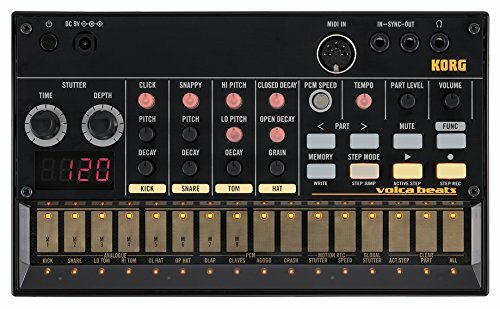 Any musician who is in the market for a great analog drum machine will definitely want to consider the Korg Volca Beats. It’s an incredibly powerful piece of equipment that is surprisingly easy to use, making it an affordable option for musicians of all skill levels and allowing all musicians to tap into their creativity. Because it can be easily used on the go or in a studio, it’s a great option for gigging artists as well as recording artists. Thanks to the clearly labeled knobs and pads, the Korg Volca Beats is easy to operate and control. It features great sound and editing capabilities. While it may not be the right choice for everyone, if you are looking for a drum machine that is intuitive and powerful, then the Korg Volca Beats may be just what you need.